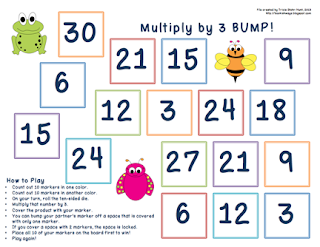 This week over at Bookish Ways in Math and Science you'll find a series of BUMP boards to practice basic multiplication facts. You'll find boards for facts from 1-12. 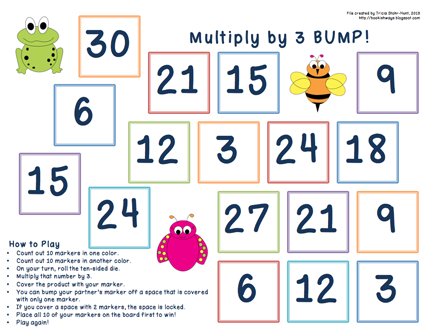 Students roll a 10-sided die and then multiply by the factor on the board. Dice templates and 1-10 spinners are provided. There are two versions available. Here's one. The other version features Australian animals.